Everyone from soldiers to civil rights lawyers are pointing out that American police forces are now more heavily armed than US soldiers were during the 2003 invasion of Iraq. So who does the Washington believe is the real enemy? Thanks to the controversial Department of Defense 1033 program, which began in 1997, American cities such as Baltimore have been able to obtain equipment — military assault rifles, grenade launchers, floodlights, scopes, night vision goggles, and armored vehicles — usually reserved for war. Through the program, the state of Maryland alone has obtained over $12 million in equipment to use on their streets. 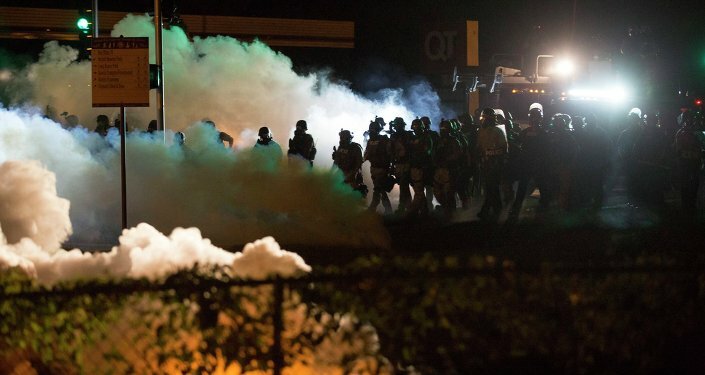 During the unrest in Ferguson in 2014, a veteran and journalist with Business Insider noted he saw officers carrying 5.56 mm rifles based on the military m4 carbine, with scopes capable of hitting a target from 500 meters away, as well as pistols on their sides, heavy body armor, and four to six extra magazines loaded with 30 rounds each. The officers were dressed in military camouflage and drove around in a Bearcat, a vehicle similar to an MRAP. While wearing camo in a city or town setting serves no logistical purpose, it does serve to create the appearance of a warzone. 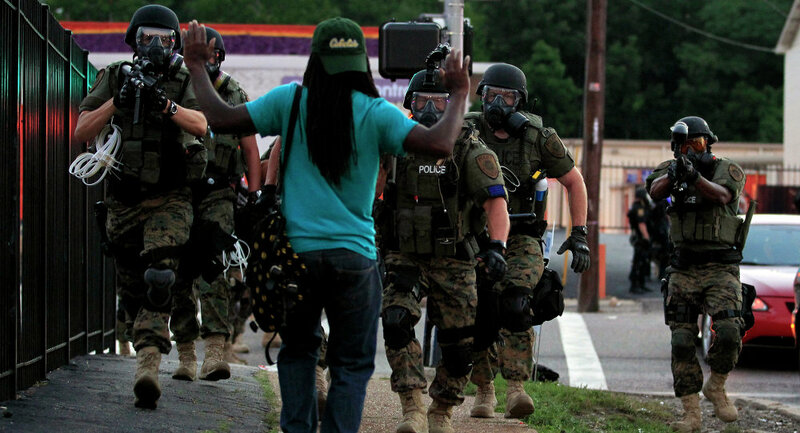 “The police in Ferguson have better armor and weaponry than my men and I did in the middle of a war. And Ferguson isn’t alone — police departments across the US are armed for war,” Army veteran Rafael Rivera wrote in an op-ed for Moyers and Company. The militarized police were on full display once again in the days following the unrest in Baltimore after the death of Freddie Gray at the hands of police. Overnight, Baltimore seemingly came under military occupation as a giant MRAP rolled through residential neighborhoods, children rode their bikes in front a blockade guarded by a dozen officers holding assault rifles, and national guard troops walked with their rifles and masks down every street. Rivera noted that the rules of engagement for the Army on how to deal with enemy forces are far more restrictive than what he has seen from local police forces during times of civil unrest. During a congressional hearing on police militarization in September, Sen. Claire McCaskill too pointed out that local police are more heavily armed than soldiers. She also noted that a small town police department in Michigan, with only one full-time police officer, was given 13 assault rifles through the DOD 1033 program. Civil rights lawyer John Whitehead has also spoken out against this trend, stating that homeland security officers in the United States possess three times as much ammunition as front-line soldiers in Afghanistan. “In a war zone, the soldiers shoot to kill, as American police have now been trained to do. Whether the perceived ‘threat’ is armed or unarmed no longer matters when police are authorized to shoot first and ask questions later,” Whitehead lamented.